The Technology Outlook for Australian Tertiary Education 2012-2017 reflects a collaborative effort between the New Media Consortium and Griffith University. The research underpinning the report makes use of the NMC’s Delphi-based process for bringing groups of experts to a consensus viewpoint, in this case around the impact of emerging technologies on teaching, learning, research, and information management in Australian tertiary education over the next five years. That group of experts, known as the 2012 Horizon.au Advisory Board, is comprised of a body of knowledgeable individuals, all highly regarded in their fields; collectively the advisory board represents a range of diverse perspectives across the learning sector. Johnson, L., Adams, S., Cummins, M.,. (2012). 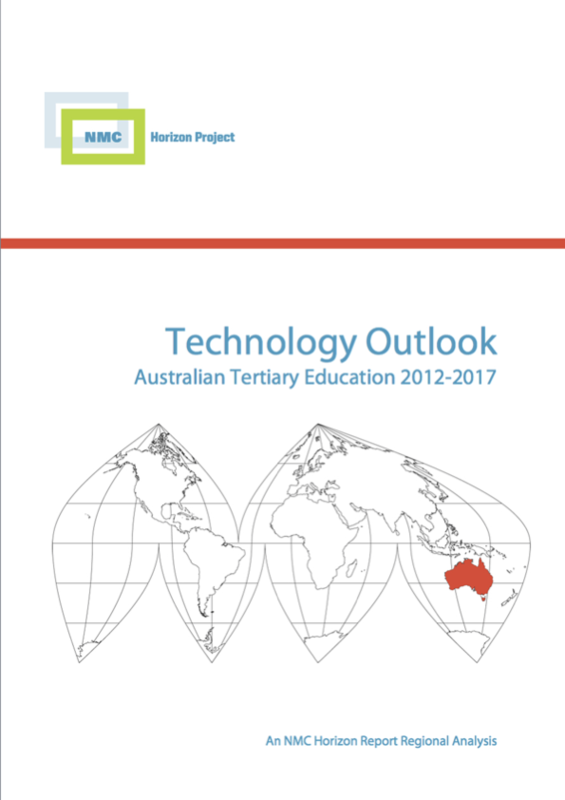 Technology Outlook for Australian Tertiary Education 2012-2017: An NMC Horizon Report Regional Analysis . Austin, Texas: The New Media Consortium. Retrieved April 22, 2019 from https://www.learntechlib.org/p/182063/.